Our team is committed to providing exceptional services in a wide range of transportation safety analyses. Our highly skilled and educated staff is ready to undertake any complex and difficult task. We stand behind our work and analysis. Dr. Kwasniak, a transportation engineer with more than 15 years of experience, along with his team, have created the SPF Tool to be the first of its type of cost-efficient and user-friendly tools on the market. Our team has experience in managing crash records and databases, and in developing jurisdiction-specific SPFs. Our wide range of experience includes GIS system management, in-depth crash diagnostic and crash data evaluation, programming, and statistics. 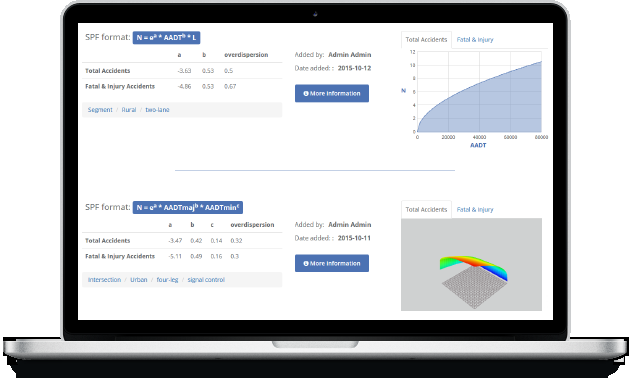 Our product, SPF Tool, comprises the most advanced state-of-the-art methods integrated into a virtual user-friendly interface to support you in your transportation safety analysis. We train and help agencies to advance their evidence-based transportation data safety analysis. Please do not hesitate to contact us for more information about our services.